You must contact the race secretary directly. If you wish to cancel your entry you must request the cancellation by 9:00 am 3 days before the race or YOUR ENTRY FEE WILL BE KEPT. LOON RACE TEAM STORE IS OPEN! SUPPORT THE PROGRAM AND LOOK GOOD DOING IT. CLICK ON THE LINK BELOW TO CHECK OUT THE GOODS. CLICK HERE FOR THE ALL NEW LOON RACE TEAM STORE! The latest release from our U12 gals...Start Song! Please contact Trevor Hamilton for information and availability to register for the 2018-2019 season. Our U12 program is at capacity for the season. We can still accept younger age classes with prior approval. 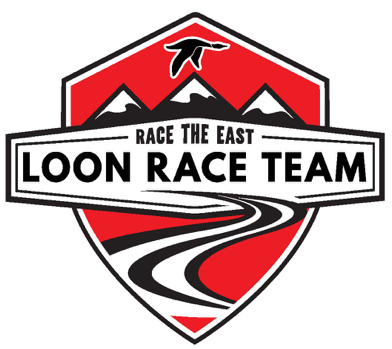 The Loon Race Team operates out of Loon Mountain Resort in the White Mountains in Lincoln, NH. Our Competition Center is at the base of the West side of the mountain, located near the Kancamangus Quad and adjacent to the Governor’s Lodge. We have our own tuning room and a theater-style private video room for our athletes. You’ll usually find the latest World Cup video playing on the 60 inch monitor in the main clubhouse as you get ready to head out in the morning. We are 501(c)3 non-profit organization sanctioned by the United States Ski Association (USSA) and the New Hampshire Alpine Racing Association (NHARA). LRT is run independently from Loon Mountain Resort; however, we work closely with Loon to provide the best training and racing environment possible for our athletes. Our Full Length GS venue is known to be one of the best around, with terrain changes, rolls and fall away turns that help ingrain the best technique possible. We have access to three different training venues that offer a myriad of options for our athletes and are all fully fenced and protected; all served by an adjacent High Speed Quad. LRT trains every weekend and during New Hampshire and Massachusetts school vacations. We also have a spectacular Friday Night Kanc Training program in town. Loon Race Team partners with Racer Ready Ski Camps for preseason training in Colorado in November, and we host a summer camp on Mt. Hood Oregon. In season we offer a full day Friday Program and a two day Speed Camp in late January featuring a proven speed skills progression. LRT also hosts an early season Tech Camp to help hone the skills of our athletes. ©2019 Loon Race Team / SportsEngine. All Rights Reserved.